Join Maciej Matyjas and Wojciech Rutkowski give a talk on modular architecture! This is the 7th in a series of hands on Idris meetings working through Edwin Brady's new book "Type-Driven Development with Idris". A whirlwind exploration of how ’going live’ either online (all the rage on social media!) or in the flesh is being applied to coding. 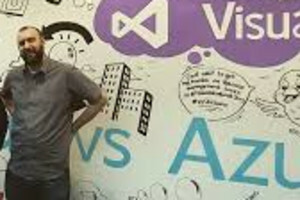 Join us for this intimate session with Don Syme ashe shares his views across general "top-of-mind" topics, incorporating highlights of Fable, .NET Core, F# libraries, fsprojects, Language Design and the F# Foundation. Agile PMO: The PMO has the power to support your organisation's­­ revolution. Are you interested in exploring how the Agile mindset, and Lean ways of working can be used in project management to guide organisations? Join DPML this month! Fire exits? Voting system for rooms' allocation? Code of Conduct? We got it covered. Apart from being an awesome code prototyping tool, the Xcode Playgrounds can also be used for Test Driven Development. Join Alan Pope for his lightning talk on distributing Python software on Linux! Join Dario Simonetti and his talk on how to tame the beast to build powerful deployment pipelines!